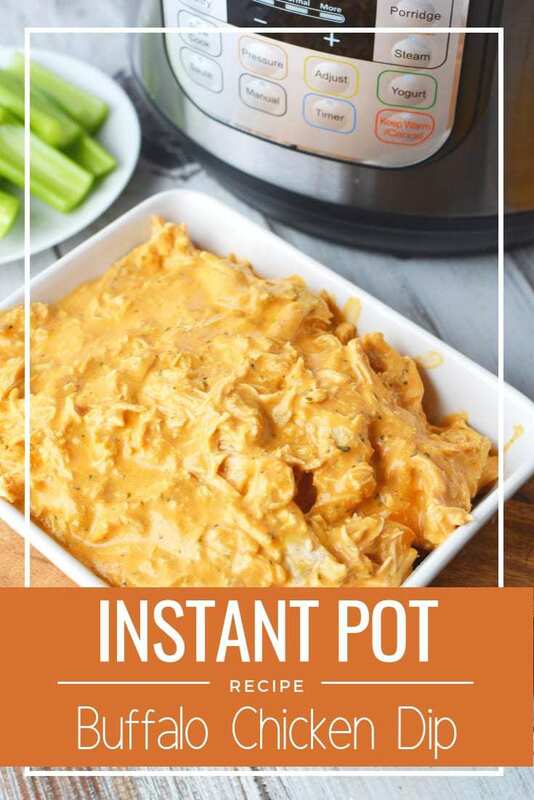 What I love most about this recipe is that it takes no real time or effort because the Instant Pot (this is the Instant Pot I have) truly does all the work. All you need to worry about is dumping in the ingredients, and letting it do it’s magic! You’ll be amazed at just how quickly this Super Bowl food favorite cooks! Don’t spend all Gameday working hard in the kitchen…it’s possible for you to create this delicious recipe in just mere moments! 1. 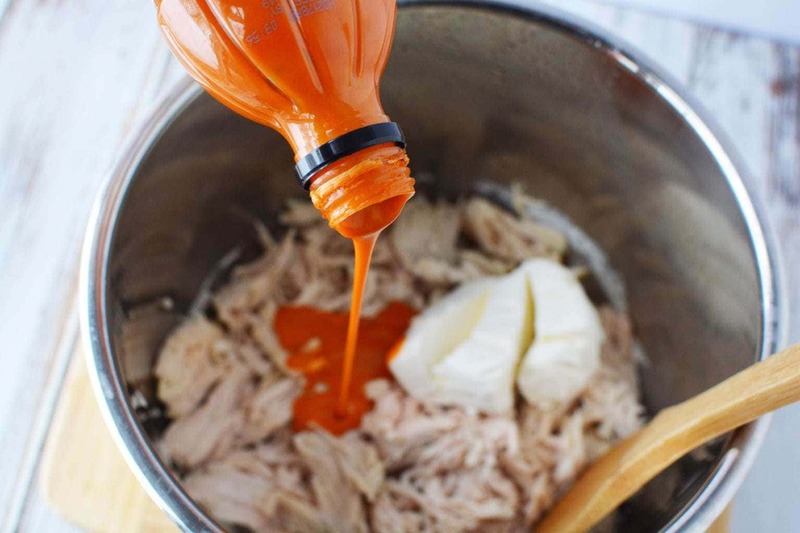 Place chicken and 1 cup water into the instant pot. Place lid on the instant pot and seal shut. 2. Close the pressure release valve. 3. Set the instant pot to manual, high pressure for 10 minutes. 4. When the cooking cycle is complete, quick release pressure and open pot. 5. Carefully remove chicken from pot and place into a large mixing bowl. Discard liquid. 6. Use 2 forks to shred chicken and return to pot. 7. Add sauce, cream cheese, ranch seasoning, and water. Mix well. 8. 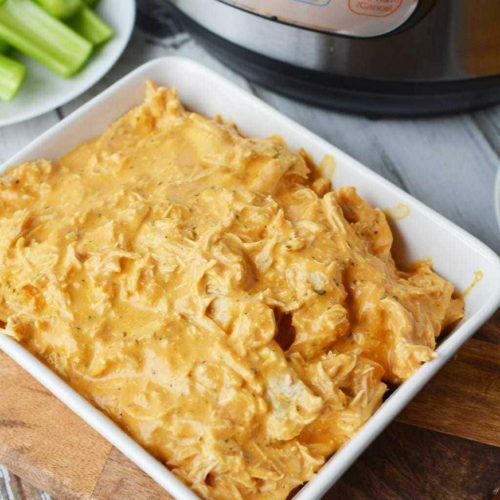 Press sautee on the instant pot and stirring constantly, mix until cream cheese is melted and dip is hot. 9. Spoon into a small bowl or dish and serve with crackers or chips. 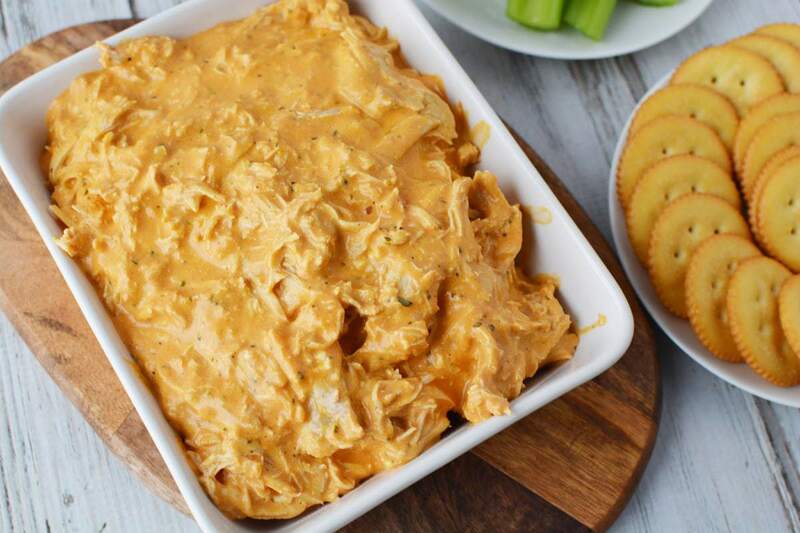 This year, wow your friends and family with this delicious Instant Pot Buffalo Chicken Dip. It’s a real crowd pleaser that definitely brings the heat! (literally!) Perfect for an easy to make football party appetizer. 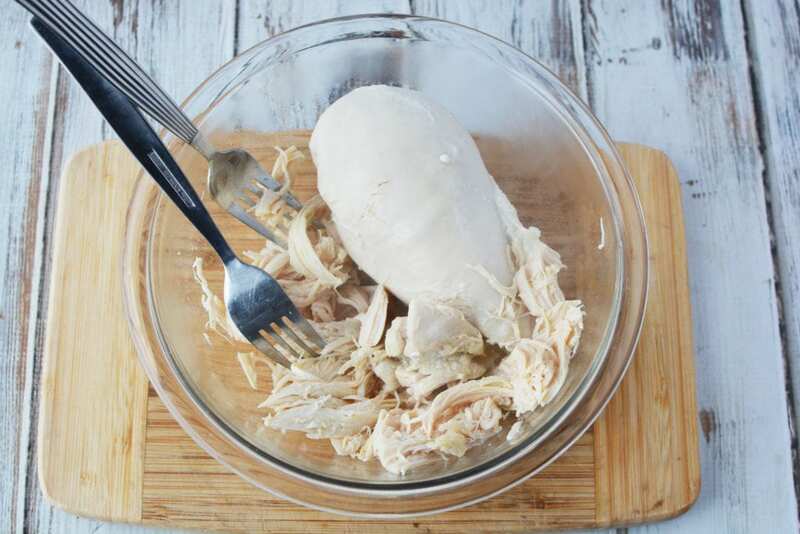 Place chicken and 1 cup water into instant pot. Place lid on instant pot and seal shut. Close the pressure release valve. When the cooking cycle is complete, quick release pressure and open pot. 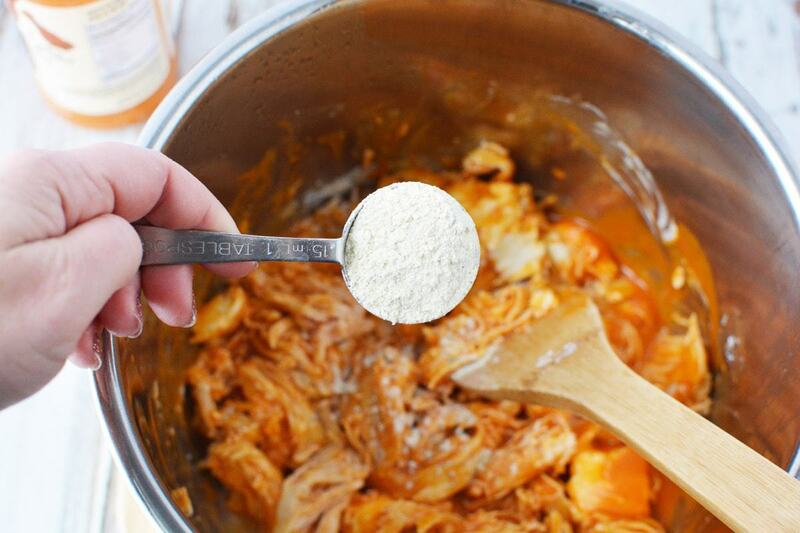 Carefully remove chicken from pot and place into a large mixing bowl. Discard liquid. Use the forks to shred chicken and return to pot. Add sauce, cream cheese, ranch seasoning and water. Mix well. 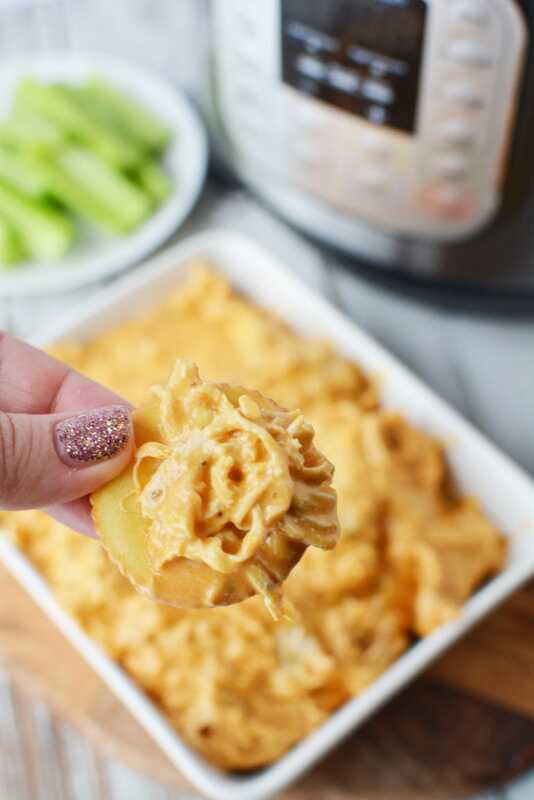 Press sautee on the instant pot and stirring constantly, mix until cream cheese the and dip is hot. Spoon into a small bowl or dish and serve with crackers or chips.